Our fig tree has produced many-many figs this season, so I have been creating different yummi recipes from them, like this beautiful raw fig cake. 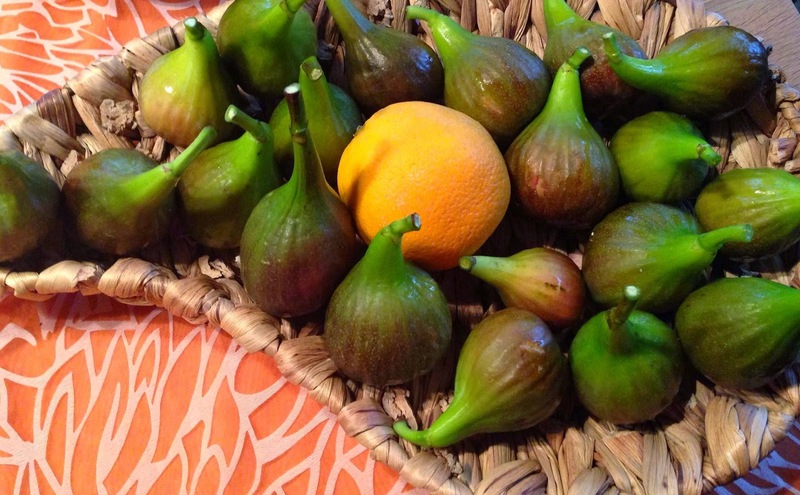 I love figs for their juiciness, sweetness and all the health benefits they offer. I wrote more about these benefits in the "Minty-fig summer smoothie" recipe. Cut the fresh figs and freeze them before making the cake. Start with the crust. Drain the dates and add all ingredients in a food processor. Pulse until they come together and a sticky dough is formed. Place the dough to a cake or pie dish. Press from the middle to the outer sides to evenly distribute the dough. Put the crust to the freezer for 15-20 minutes to set. Drain and rinse the cashew nuts. In a high-speed blender, combine the cashews, melted coconut oil, lemon juice, salt, almond butter, maple syrup and oat milk. Blend on high until all ingredients are blended and a very smooth, creamy paste is formed. Add the frozen figs and blend/pulse until there are no more chunks of figs left in the paste. In case the paste becomes too solid, add some more oat milk (or any plant based milk). Pour the filling onto the prepared crust. Smooth out the top evenly. Place the cake back to the freezer. Freeze for a couple of hours. Melt the chocolate on a hot water vapor. You can do this by boiling water in a pot and placing a plate with the chocolate on the top. The chocolate will melt in the hot water vapor. Pour the chocolate on the top of the frozen cake unevenly. Cover the cake and and freeze overnight, or for a minimum of 4 to 6 hours, until the cake sets. Remove the cake from the freezer and let it sit on the counter for 10 minutes before slicing. This cake is meant to be served frozen. Decorate with slices of figs.